Everything you need to build better NFL lineups each week, on one page! Weekly projected depth charts for each NFL game. Target and touch counts for each relevant player. Real time odds and historical line movement. Everything you need to build better MLB lineups each day, on one page. Daily projections from the best MLB minds out there. Daily projected/confirmed batting orders and starting pitchers. An MLB DFS dashboard that provides all of the relevant data about a particular matchup. All the crucial weather information you need from our Chief Meteorologist. Everything you need to build better NBA lineups each day, on one page. Daily projections from the best NBA minds out there. See how a player's performance changes when his teammates are on or off the court. Updated NBA starting lineups and depth charts. Track how projections have changed throughout the day. Everything you need to build better NHL lineups each day, on one page. Today's starting goalies and projected lines. Tools to help you select skaters for your DFS lineups. Tools to help you select goalies for your DFS lineups. Everything you need to build better PGA lineups each week, on one page. Weekly projections from the best PGA minds out there. Weekly aggregated point/$ rankings from our top experts. Ownership projections for the biggest GPPs. Odds for each golfer to win the tournament. Starting lineups, player news, and much more, directly to your mobile device. THE BAT projection system, brought to you by Derek Carty. Upload your contest history, then quickly see your winnings, margins, ROI, and more. A weekly writeup of the top cash and GPP plays. Have your answers questioned before lineups lock. Brett Appley breaks down the slate in-depth. Algorithm-built projections from bbbomb each week. Premium ratings and reports for each MLB game. In MLB SlateIQ, we analyze historically similar slates to determine how to best attack today's action. In-depth MLB analysis like no one else in the industry can provide. Daily aggregated point/$ rankings from our top experts. 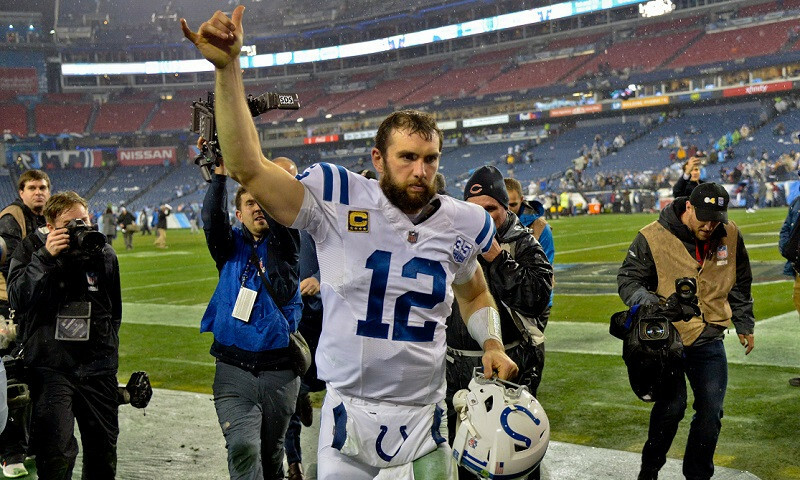 Our DFS experts answer questions to help you make crucial lineup building decisions. 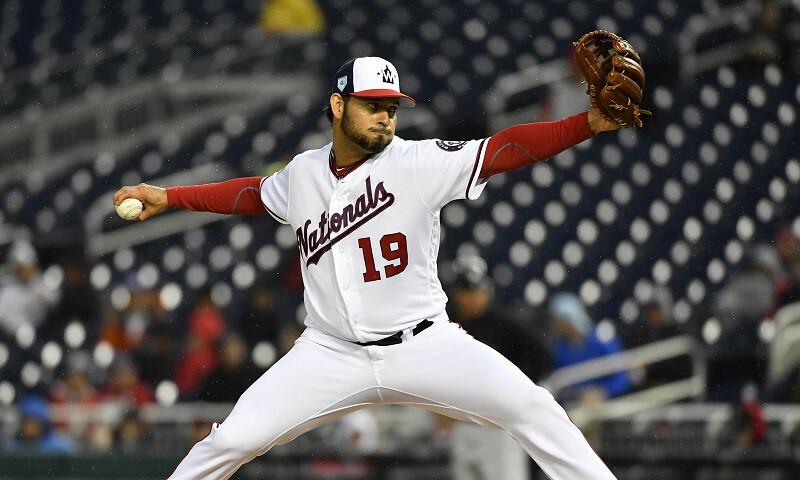 GPP analysis focusing on pitching, roster construction, stacking, leverage, ownership, and more. Daily tiered rankings and recommendations. We take you all the way through lock in this interactive Premium show. Historical weather and sports data, showing the impact of different weather conditions for each ballpark. After MLB lineups come out throughout the day, see how Notorious has adjusted his strategy. A collection of player recommendations for the upcoming slate. Find out who you should be building your NBA DFS lineups around each day. Use these helpful data points to pick out the best player matchups each day. A collection of core recommendations for the upcoming playoff slate. Daily projections from the best NHL minds out there. NHL Grind Down - See You Next Season! An in-depth analysis of each game on the schedule. Consensus Value Rankings - See You Next Season! NHL Expert Survey - See You Next Season! Expert Insights - See You Next Season! Daily Fantasy Faceoff - See You Next Season! Catch the replays of the NHL Daily Fantasy Faceoff each Tuesday and Thursday. Hang out with our DFS analysts in chat. In PGA SlateIQ, we analyze historically similar PGA slates to determine how to best attack this week's action. Top cash game plays from Derek "Notorious" Farnsworth. Top tournament plays from Justin "STLCardinals84" Van Zuiden. Top value plays from Josh "futureoffantasy" Culp. Weekly in-depth course breakdown, featuring sortable statistics. Notorious runs through his PGA model for this week's tournament. STLCards examines four players to consider for your golf lineups this week. Three of the best in PGA DFS discuss the week's tournament to help give you an edge. A weekly breakdown from Justin "STLCardinals84" Van Zuiden. Weekly NASCAR tournament rankings for DraftKings. Weekly NASCAR cash rankings for DraftKings. Ownership projections for each driver every week. Weekly NASCAR tournament rankings for FanDuel. Weekly NASCAR cash rankings for FanDuel. Weekly NASCAR projections for DraftKings. Weekly NASCAR projections for FanDuel. Weekly NASCAR XFINITY projections for DraftKings. Stevie gives you the latest scoop right before each race starts. Get the top NASCAR betting picks each week. Consensus rankings from some of the top MMA DFS players. Tournament ratings that factor in finish potential, scoring potential, price and ownership. Data-driven projections, meant to calculate safe, optimal lineups. Have your questions answered before lock. Weekly DFS soccer projections for the Premier League. Our soccer analysts break down the slate in-depth. A weekly podcast analyzing the upcoming slate. Sign up using a link in this FanDuel Review and receive 5 contest entries, plus a comped 3-month subscription to our FanDuel premium content - a $75 value, FREE! Buy a stake of your favorite DFS players. ResultsDB is a tool that tracks historical DFS contest entry data. Find out who won the biggest contests, what the optimal lineup was for a given day or slate, and much more! Want to know who Notorious is definitely paying up for in NFL DFS this week? Wondering which value play STLCardinals84 is eyeing most? You’re in luck. Our daily fantasy sports experts will answer a handful of questions to help you make crucial lineup building decisions for this week’s contests. Who is your favorite player for cash games? Who is your favorite player for tournaments? Who is your favorite salary saver on the board? Which high-priced player will you have little to no exposure to in tournaments? Who’s your top contrarian play on the board? Which low-priced chalk player are you most likely to fade? Which low-priced chalk player are you most likely to have heavy exposure to? Which player are you afraid of being underweight on compared to the field? Which skill position players (if any) are you targeting versus an elite defense? Which NFL team are you targeting players from the most? Which NFL team are you looking to avoid most? What’s the best position to spend up on this week? What’s the best position to save salary on this week? Which game has sneaky shootout potential this week? Which position will you have the most exposure to in FLEX? Which useful trend or statistic stuck out most during your research? Notorious: In each of the last three seasons, the Falcons have allowed the most receptions to running backs. They will be without their fastest linebacker in Deion Jones, which should create some amazing opportunities for Christian McCaffrey. Not only did he lead the Panthers in targets last week, but he played on more than 80% of the snaps. Don’t be discouraged by his slow start to the season. With Greg Olsen out, he’s the best playmaker Cam Newton has. STLCardinals84: The Steelers have allowed 137 rushing yards per game in five regular season games since Ryan Shazier’s injury, and those have come against the Ravens, Patriots, Texans, and Browns (twice). That’s not a murderer’s row of rushing attacks. This is a unit that is quietly becoming very porous against the run, and it’s something we need to take advantage of before the masses get on board. MrTuttle: Quincy Enunwa 48% target share was the highest rate in the league. meansy53: The Denver Broncos gave up the third most fantasy points to tight ends in 2017, and then let a guy named Will Dissly go for 105 yards and a touchdown in Week 1. Next up is Jared Cook, who led the Raiders in targets in Week 1 with 12. Stevietpfl: Dion Lewis played 49 of the 69 snaps in Week 1 and had 21 touches. Henry only played 20 snaps and wasn’t on the field for any of the third down plays. Henry only had 11 touches in Week 1. Davis Mattek: Julio Jones saw one of the most historic workloads in Week 1 for the Falcons, both while the offense was on script and while they weren’t. Per several “expected fantasy points” metrics from several respected FF prognosticators, Jones had a more valuable workload than Michael Thomas, Manny Sanders, AB84, etc. I know it’s tempting to just jam in Antonio Brown in this spot against KC, but Jones truly has the largest chunk of his team’s offense of any WR. What’s your hot take of the week? Notorious: Christian McCaffrey racks up over 100 yards receiving and is a top three scoring running back in the slate. STLCardinals84: Kareem Hunt rebounds from a poor Week 1 showing with 150+ yards and a pair of touchdowns. MrTuttle: Detroit’s three top WRs (Golden Tate, Marvin Jones, Kenny Golladay) all top 100 yards receiving. meansy53: The Saints get toasted again by an opposing quarterback, with Tyrod Taylor totaling at least 300 yards and four touchdowns through the air and on the ground. Davis Mattek: Alex Smith continues to be Quarterback Jesus and Demaryius Thomas proves that he is “better at touchdowns” than Emmanuel Sanders	. What is your favorite correlation of the week and why? Notorious: I’ll go with the Steelers/Chiefs game stack. Without Le’Veon Bell, we know where the production on the Steelers is going to come from. Ben Roethlisberger is always much better at home, James Conner is capable of handling 30 touches, and Antonio Brown gets to square off agianst two very beatable cornerbacks. Not to mention the fact that the Chiefs’ defense is putrid. On the other side of the ball, we have a talented young quarterback in Patrick Mahomes with plenty of weapons. I will include the likes of Kareem Hunt, Tyreek Hill, and Travis Kelce in my game stacks. STLCardinals84: Stacking the Steelers/Chiefs game. This is a doable strategy this week, and we generally know where the production will come from with these teams. Both James Conner and Kareem Hunt are affordable enough, and both teams have elite playmakers at wide receiver. You can even get a potential value piece like Jesse James if you really want to go all out on this contest. The Chiefs defense is terrible, and Pittsburgh’s defense (especially against the run, as I have alluded to) is overrated. Stack ‘em up in a game that has opened with a Vegas total of 53 points. MrTuttle: Jimmy G + George Kittle + Kenny Golladay – As you may have gathered by now, I’m bullish on this Lions @ 49ers game becoming a potential shootout. Both Kittle and Golladay figure to garner a fair amount of ownership but current ownership projections don’t have Jimmy G cracking the top five in QB ownership. Despite having a pair of talented DBs in Darius Slay and Quandre Diggs, the Lions still ranked middle of the road last season in pass DVOA (16th) and let rookie QB Sam Darnold complete 16-of-21 passes against them in the home opener. George Kittle saw a spike in volume in Week 1 in part due to a Marquise Goodwin injury but he figures to be a big part of Week 2’s gameplan regardless of Goodwin’s status as he draws arguably the best pass catcher matchup for the 49ers. Kenny Golladay shined in what was a disappointing offensive output in Week 1 for the Lions, as Babytron totaled 114 yards on seven receptions. Perhaps more promisingly, Golladay outsnapped both Golden Tate and MJJ. My favorite part about this stack is that it is extremely cheap across the industry which allows you to load up the rest of your roster with studs. meansy53: Rams defense and Todd Gurley – Sam Bradford and the Arizona offense looked lost in Week 1 and now get to face the Rams, who were sixth in DVOA last season. On the other side is Gurley, who will for sure go at least somewhat overlooked on this slate being priced only $100 (FD) and $300 (DK) cheaper than Alvin Kamara. The game script couldn’t set up any better either, with the Rams being the biggest favorites (approaching two touchdowns) in Week 2. It is easily my favorite correlation of the week, and I’m not sure it is getting as much attention as it should. 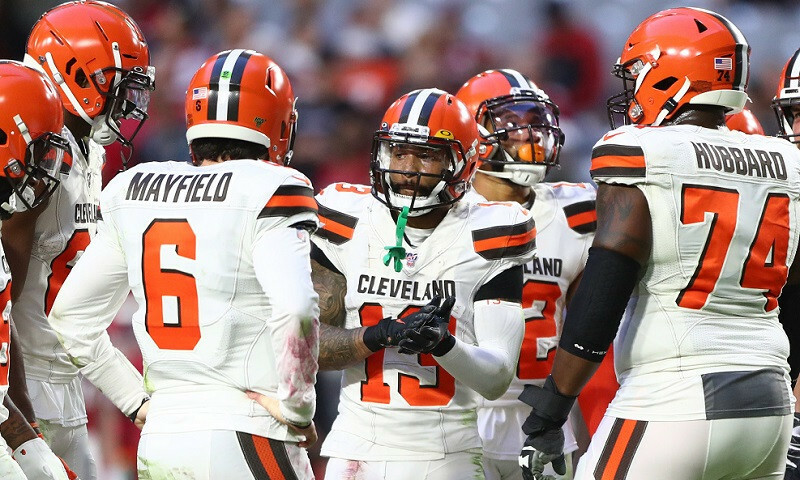 Stevietpfl: Tyrod Taylor and Jarvis Landry – I don’t expect anything like we saw out of Fitzpatrick last weekend, but I do expect the Browns to be down in this game. Jarvis Landry had 15 targets in the rainy Week 1 game against the Steelers and finished with a 7-106 line. With Josh Gordon expected to be shadowed by Marshon Lattimore, I think Landry is in line for a lot of targets again. There’s nothing sneaky about this game after last week, and I’m going right back to the well on what I expect to be a high scoring game. Davis Mattek: Patrick Mahomes and Tyreek Hill – This is not the safest strategy, as Hill is not the type of player to routinely get endzone targets and both Kareem Hunt and Travis Kelce are likely to get more volume this week. 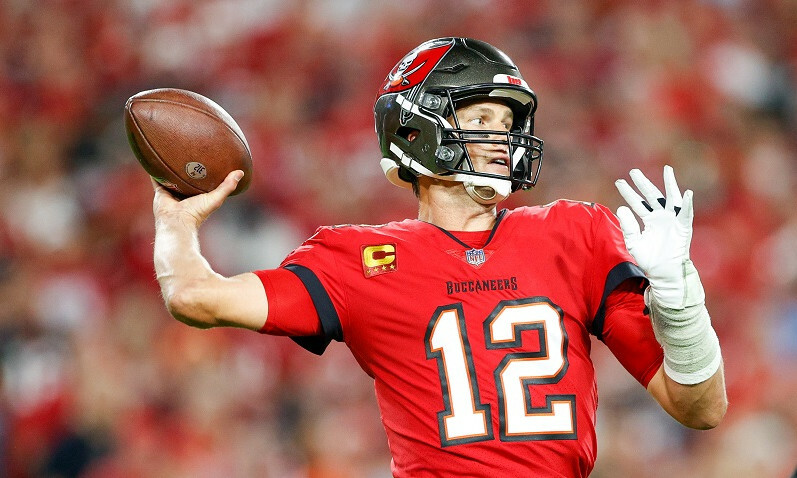 However, Hill has proven himself over the course of the preseason and Week 1 to be an utterly perfect match for Mahomes’ skill set, and until teams commit to leaving a single high safety 30 yards down the field to account for Reek, the sky is the weekly limit for Hill/Mahomes, who are only projected for 17% and 8% ownership respectively. Who is your top overall play (when considering price, matchup, projected ownership, etc.) on the board and why? Notorious: James Conner – He’s too cheap not to be considered the top overall play if we are factoring in price. He handled 31 touches last week against the Browns and looked great in doing so. He now gets to face a Chiefs’ defense that nearly gave up 50 fantasy points (PPR scoring) to Melvin Gordon and Austin Ekeler. Conner is the ultimate workhorse back, the matchup is elite, and the price isn’t nearly high enough. Don’t overthink this one. STLCardinals84: Antonio Brown – He had a little bit of difficulty getting things rolling in Week 1 with the difficult weather in Cleveland, but he still put up a 9/93/1 line with 16 targets. This is the type of line we can realistically expect as a floor on a weekly basis for Brown, especially as long as Le’Veon Bell remains away from the team. This is a perfect smash spot in a game against a Chiefs defense that has absolutely nothing in the secondary with Marcus Peters off to greener pastures. Philip Rivers threw for 424 yards a week ago against them, and this sets up to be a huge game for Pittsburgh’s top wide receiver. He’s my top overall play on the board this week. MrTuttle: Antonio Brown – It seems relevant to post AB’s splits with Big Ben and without Le’Veon Bell here once again. Including last week, totaling 14 games, AB averages 13.9 targets, 9.6 receptions, 131.6 yards, 0.86 TDs and 28.1 DK pts (bonus pts not included). AB was relatively silent in Week 1 with a nine catch, 93 yard and one touchdown performance as he only put up 24.3 DK pts. The Steelers get an even better matchup in Week 2 and possibly more importantly, better weather to play in. Despite a handful of drops from the Chargers receivers, the Chiefs secondary still allowed Rivers to hang a 424/3 performance on them in Week 1. This Chiefs secondary is not good, with their only solid cover corner, Kendall Fuller, spending most of his time in the slot. Brown only ran 21% of his Week 1 snaps in the slot and the Steelers are smart enough to move him around enough to take advantage of terrible cover corners Orlando Scandrick and Steven Nelson on the outside. meansy53: James Conner – In Week 1, Conner played on almost 92% of the snaps, had a whopping 31 carries, and threw in six targets to top it off. The Chiefs gave up the eighth most rushing yards to opposing running backs in 2017 and got carved up by them in the passing game against the Chargers in Week 1. Conner has bellcow usage without the bellcow price tags. He is an easy play again in Week 2 despite the price hike. Stevietpfl: Alvin Kamara – We got to see what a Mark Ingram less backfield looked like last weekend, and I’m going right back to the well on Kamara being my highest owned guy. He had eight carries out of the 13-offensive run plays and had 12 targets for 9 catches and 112 yards. He finished as the highest scoring running back in week one, and I wouldn’t be shocked if he’s the highest scoring running back again this week. He had seven red zone touches in Week 1, which lead all RB/WR/TE. Davis Mattek: Alvin Kamara – With no Ingram, he is going to get every goalline touch, and with the lack of a possession WR/TE, Kamara is also the second pass catcher in the high-octane Saints passing offense. If I could re-do my seasonal drafts right now, I would take Kamara first overall and expect that not only will he score the most FPPG of any WR/RB but also outscore all quarterbacks. We are on the verge of a historic fantasy season, a la David Johnson 2016 and Todd Gurley 2017. Be sure to click through our links and use our exclusive promo codes to receive the industry's best sign-up bonuses, including free access to our premium content. Get a FREE 3-month subscription to our FanDuel Premium content (a ~$90 value) by signing up through one of our links! Sign up for DraftKings using a RotoGrinders link & receive our DraftKings Premium content FREE for 3 months. That’s a ~$90 value! No DraftKings promo code necessary! Sign up for FantasyDraft through one of our links to receive a free $4 entry into a guaranteed prize 3-man contest! You’ll also receive a comped 3-month subscription to our FantasyDraft Premium content, an additional ~$90 value FREE! Create your account using Draft promo code “GRINDERS” and receive a free $3 Entry. 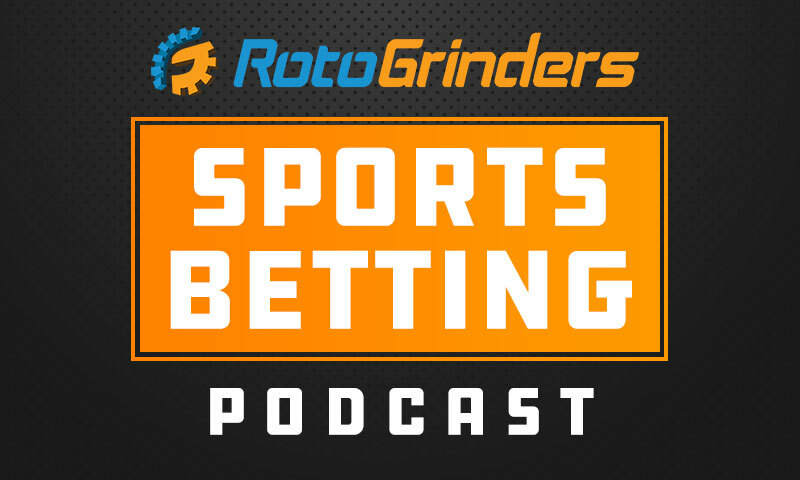 New RotoGrinders Sports Betting Section! Are you a DFS player who wants to get into sports betting? Head over to our sports betting resources area and get the full rundown on legal online sports betting in the US. If you're lucky enough to reside in (or close to) states with legal online sports betting, like New Jersey, then check out our NJ online sportsbook bonuses page to see what free bets are available to you right now. Also of interest to DFSers are our sportsbook reviews, so remember to check out our DraftKings Sportsbook review and our FanDuel Sportsbook review to see what the DFS giants are up to in the sports betting realm. RotoGrinders.com is the home of the daily fantasy sports community. Our content, rankings, member blogs, promotions and forum discussion all cater to the players that like to create a new fantasy team every day of the week. Our goal is to help all of our members make more money playing daily fantasy sports! Disclosures: All RotoGrinders content contributors are active DFS players. Contributor screen names can be found on their respective RotoGrinders profile pages. Contributors reserve the right to use players or strategies not discussed in their content on RotoGrinders.